The cost of private duty care can seem daunting to families who are seeking the assistance of homecare agency for the first time. Questions about the affordability of homecare services are often a major factor in a family’s decision to seek outside help. As a homecare provider, it is imperative that you take the opportunity to market your services as a wise financial decision for families in need of help. With a vast amount of data available on the cost savings that homecare services provide to American families, there’s a real chance to shine the light on the value of homecare. According to a 2008 study by Prudential, assisted living facilities average out to a cost of roughly $39,000.00/ year. However, depending on the facility, these costs can range up to $60,000 year! Facilities that provide specialized services to Alzheimer’s clients typically charged 15% more. Many assisted living facilities will charge extra for helping clients with taking medication, laundry service, recreational activities, cable TV and more. The average private duty homecare service charges between $15-$20/hour and provide service for anywhere from 2-40 hours/week. Homecare services include the cost of assisting with laundry, transporting to medical appointments and social stimulation. As a homecare manager, you have the power to research the average rate for assisted living facilities in their locale. Look at what types of facilities are available, how much they charge and offer clients a comparison to your rates and services. This evaluation is the first step in letting potential clients know that you both understand their options and are committed to providing them with the best value. Also focus on the stress reduction of homecare services. Assisted living facilities require seniors to uproot their lives – sometimes from homes that they’ve inhabited for over 50 years. By bringing a professional caregiver into the home, seniors can stay put. The stress, and cost of a move is eliminated. The cost of storing items that won’t fit into an assisted living room is eliminated. Most importantly, however, seniors get to stay home and a sense of normalcy and independence is maintained in their lives. 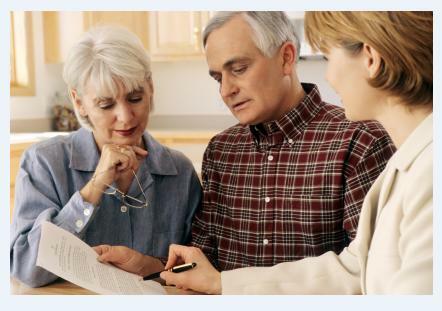 Talk to families about the value of independence and make it clear that you’re in the business of helping the elderly maintain a high quality of life without depleting their financial security. After you have helped your clients understand the value of the in-home services that you provide, utilize the performance of the ClearCare software to help close new clients. materials that help sell your business at no extra cost! Beyond efficiency, ClearCare also demonstrates your commitment to transparency. The point-of-care tracking, which can be easily accessed by family members via a secure online log-in, is unsurpassed. That level of communication is not at all typical in assisted living facilities – a powerful differentiator for your home care agency.